New research has proved what many IT experts have long been preaching; if you care about your online privacy, don’t use a free VPN. We have explained before how there is really no such thing as a ‘free’ VPN. All VPNs have costs to cover and want to be making a profit. The difference is that some VPNs choose to do this through user subscriptions, while others choose to do it more surreptitiously. And a recent investigation by John Mason for Techopedia has highlighted this all too clearly. 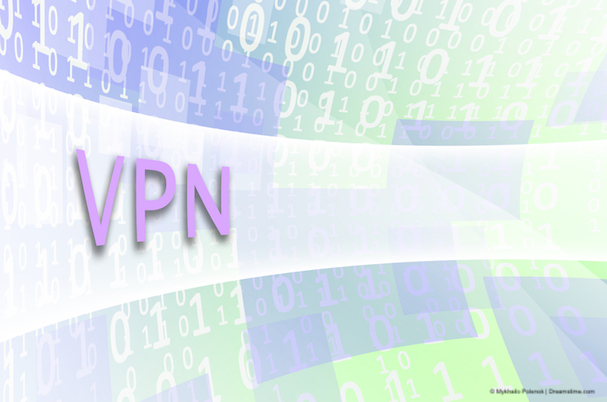 Mason’s article begins by explaining the various costs that are incurred in running a VPN. These include having to pay money to run servers and bandwidth costs. He also explains that decent security protocols also don’t come cheap, which is why the security on most ‘free’ VPN providers is usually so substandard. So, if a VPN service is running up these costs, how are they paying for it? Mason concludes that in almost all cases, the answer is by compromising the privacy of their users and handing their data over to third parties, such as marketing companies. His conclusion rings very true for those with insight into the VPN market. “If you’re not paying for a product, it is most likely because you are the product.” And he has looked into some of the biggest ‘free’ VPNs to prove his point. Hotspot Shield is without doubt the biggest ‘free’ VPN provider and claims to have had more than 600 million downloads. Mason’s investigation highlights the Center for Democracy & Technology petition to the FTC which accuses Hotspot Shield of sharing and selling user data and provides evidence to back up this claim. Mason also shows that Hotspot Shield has been found to redirect user traffic to their affiliates, inject adverts into their browser in a way which put their online security at risk, and also employed insecure connections to transmit user data. We have also previously highlighted the security flaws in Hotspot Shield which can reveal user locations and other personal details. Read our guide to the 5 Best Alternatives to Hotspot Shield here. Hola is the next biggest ‘free’ VPN and claims 160 million downloads worldwide. Hola makes money by selling the excess bandwidth of users of their free service to those subscribing to their paid-for service, Luminati. This is even more dangerous than the practices of Hotspot Shield. This practice essentially involves allowing other people to appear on the internet using your IP Address. You don’t know who they are, have no control over what they are doing, but ultimately will be held responsible if they do something wrong. If they are doing something illegal online, you will suffer the consequences. Hola has even been found renting user bandwidth to a Botnet. Read our guide to The 5 Best Alternatives to Hola VPN here. Betternet has an estimated 38 million downloads yet has been proved to allow advertisers to directly access user data. Recent research by CSIRO has shown that Betternet has no fewer than 14 different tracking libraries which Betternet uses to sell customer data to numerous third-parties. Their Chrome extension has also recently been found to have been compromised too. Remarkably, given the widespread condemnation there has been of Onavo, it has already had an estimated 33 million downloads worldwide. Onavo is not a VPN in any real definition of the term. Instead, it is a data harvesting tool for Facebook. It collects almost all of your online data and passes it back to its parent company to analyse and profit from. If you are a user of one of these ‘free’ VPNs, there is now absolutely no excuse to plead ignorance. The ways they compromise your online security and privacy to make money are both proven and well known. Our recommendation would be to remove all ‘free’ VPN software from your device immediately, close down your account, and instead sign up for a proper VPN. These do cost money, but many are a lot cheaper than you might think. Take a look at the offers available with the likes of ExpressVPN, IPVanish, and NordVPN as a good starting point. Alternatively, browse through our VPN comparison table for more great offers. If even these prices seem too high, why not club together with friends and family. All VPNs offer multiple simultaneous connections with each subscription. IPVanish has recently increased their offer to 10 connections per account. Taking advantage of these offers means you can get access to a proper VPN which will protect your online security and privacy for just a few cents a month. For that sort of money, no-one really has any excuse to be using free VPNs anymore.